Helen prepares her spare room to host her sick friend who is coming to Melbourne from Sydney to undergo alternative cancer treatment. The three weeks that Nicola stays with her turn Helen’s world upside down, test their friendship and challenge everything Helen thinks she knows about herself. 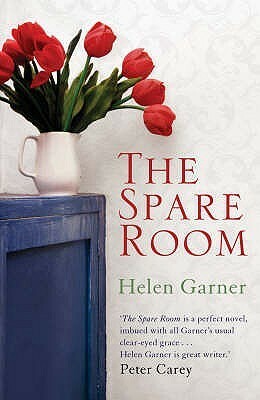 If anyone else but Helen Garner had written this book, I would have put it back on the shelf. But trusting in Helen’s ability to write about the tough subject (having read This House of Grief), I took a deep breath and dived in. I’m glad I did. The Spare Room is a meditation on friendship, dying and living with the dying. It is brutally honest as it ranges across the complex emotions that arise for everybody when facing cancer. It is a brutal disease and the treatments are brutal. Everyone is vulnerable and it brings out the best and the worst in patients, carers and medical practitioners alike. Helen struggles with Nicola’s approach, but as the palliative care nurse tells her, ‘that’s one way of doing it’. Likewise, this book is one way of exploring the subject – brutally honest and in places, unexpectedly funny. Yesterday, a cross-party state committee delivered a report recommending the Victorian State Government legalise assisted dying for people suffering from serious and incurable conditions. The debate around this will be fierce, I’m sure, but perhaps that’s another way of doing it. We need to talk about dying, ways of doing it, ways of living with dying – our own and that of those we love, and ways of preparing. and look me in the eye. To this, I add my Amen.